Welshlogs is a family business located in West Carmarthenshire, managed by John Bellarby. John started his working career with the Forestry Commission and has been working within the timber industry for over 30 years. During this time a comprehensive understanding of various timbers has been developed. 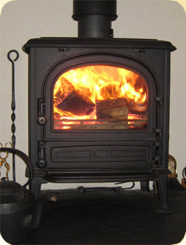 This has proved invaluable for the selection of suitable hardwood timber for firewood logs. Welshlogs aim is to supply a consistent quality product at a competitive price, which will ensure a cost effective form of heating. Our delivery area covers all parts of South West and West Wales. Original design by Web Adept. Site rebuild and hosting by STW Creation.